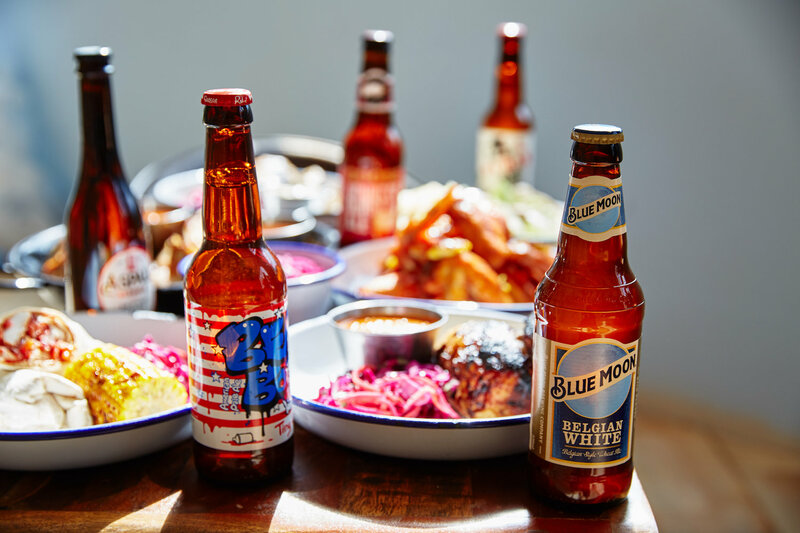 Rebel Chicken is a bangin’ new chicken restaurant, cocktail bar and beer garden opening June 1st, in the Jewellery Quarter. This is where you come for THE best chicken in town. We are fanatical about chicken. 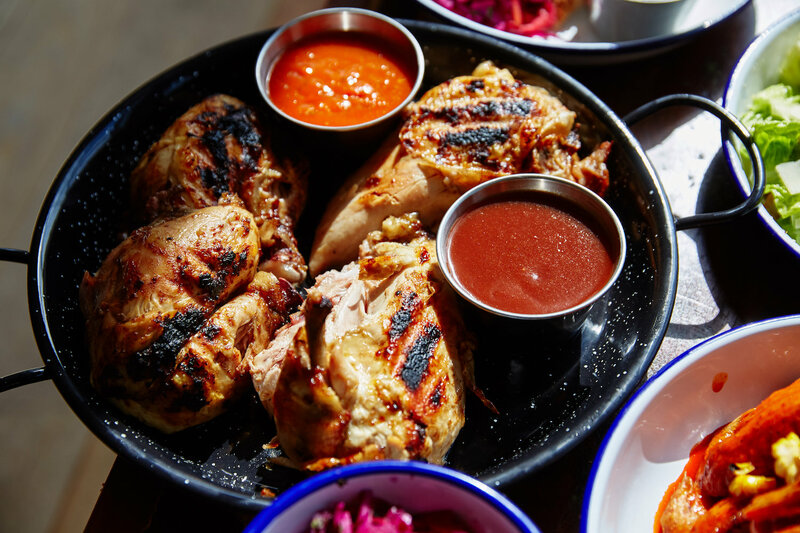 We’re talking twice-marinated, spit-roasted, free range, locally sourced, and expertly prepared (we’ve even employed a charcoal sommelier). If chicken was a religion, this would be your church. Whether you like a big bird, or a smaller chick, we’ve got everything, choose between quarter, half or whole, it’s chicken done right. You can also get other tasty meals including a Caesar salad sharer, buffalo hot wings, veggie bean burger and more, kind of like gourmet fast food. Of course, we have cheeky sides, cocktails, craft beers and a wide range of spirits. We’ve got you covered. We’re currently working on a programme of amazing summer events that will be taking place in our quite frankly, ENORMOUS beer garden. It’s the business. 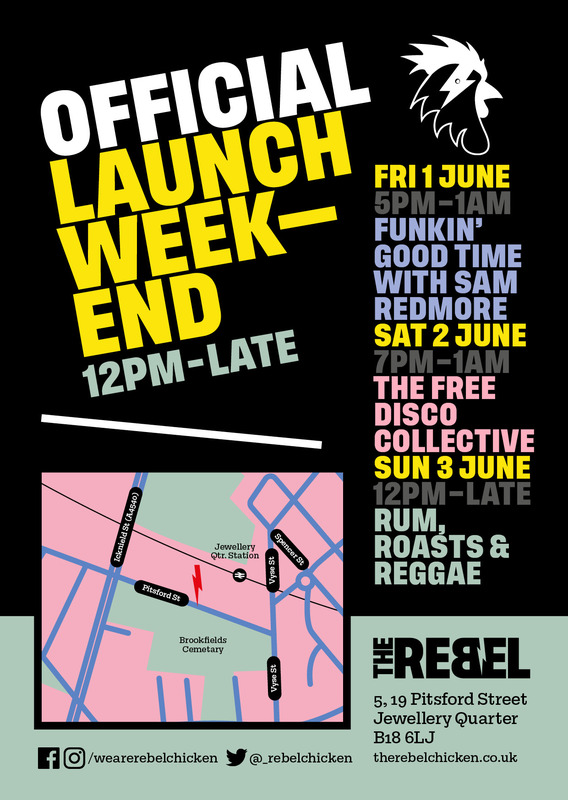 The official launch weekend is June 1st to 3rd, with Rebel Chicken opening every day from 12pm till late, with DJ’s from 5pm, special offers and more. Can’t wait until official launch? 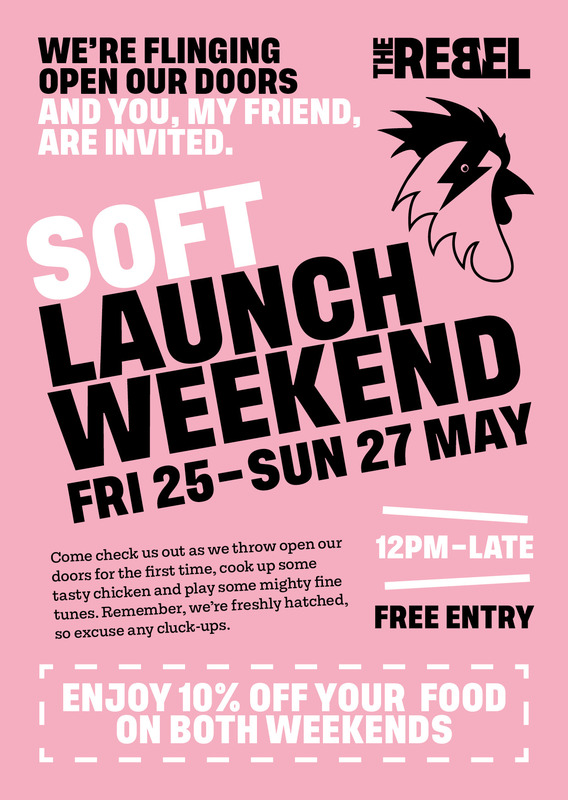 Take a sneak-peak while we run through our systems at our Soft Launch weekend Friday 25th – Sunday 27th May.